“I just kept faith in myself, and knew we would get through it,” my mother used to tell me, when I asked how she got through a difficult childhood. Mother’s Day always brings up a mix of emotions. I miss my mom, who passed away six years ago. And I feel blessed to be a mother at all. Ten years ago, when my beautiful Jackson was born, we almost lost him. He survived because of the heroic efforts of neonatal medical staff. We survived thanks to the circle of support that formed around us – family, friends, and 8,000 others. Many of them were mothers I did not even know – we connected through the blog I wrote to share my family’s experiences, and they responded with their own stories, prayers, and kind words. Again and again, I have drawn on that circle of support. 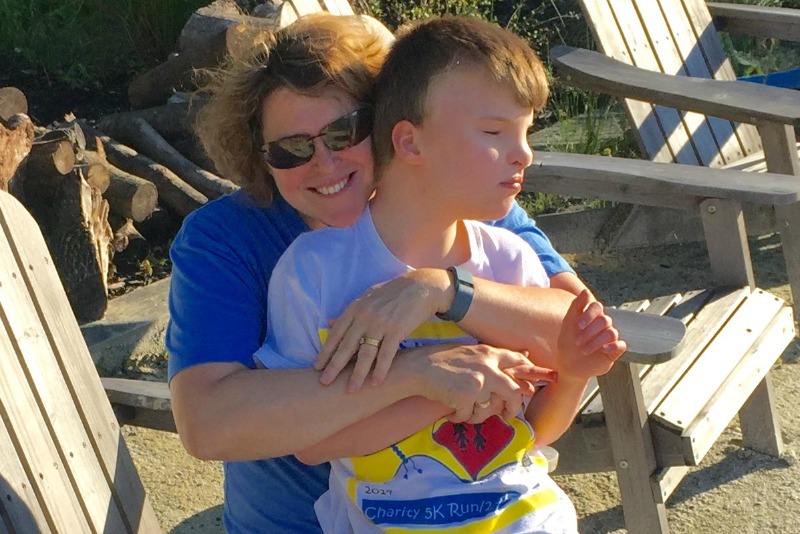 When Jackson lost his sight, lost his ability to communicate, and started having seizures. When I was diagnosed with breast cancer, it was the compassion and support of others that helped me get through it, to keep faith in myself. Women for Women International CEO, Jennifer L. Windsor at the beach with her 10-year-old son Jackson. My troubles pale in comparison with the women living in the midst of conflict today all over the world. This year, more families have been displaced from conflict than any other time since World War II. From Syria to Afghanistan and South Sudan, too many women are struggling to keep their families together and to keep them alive. Often victims of violence themselves, women in conflict zones are isolated, have little to no access to health care, no legal protections, and no opportunities to earn money to feed their children. How do they survive? How do they have the strength to rebuild their lives? 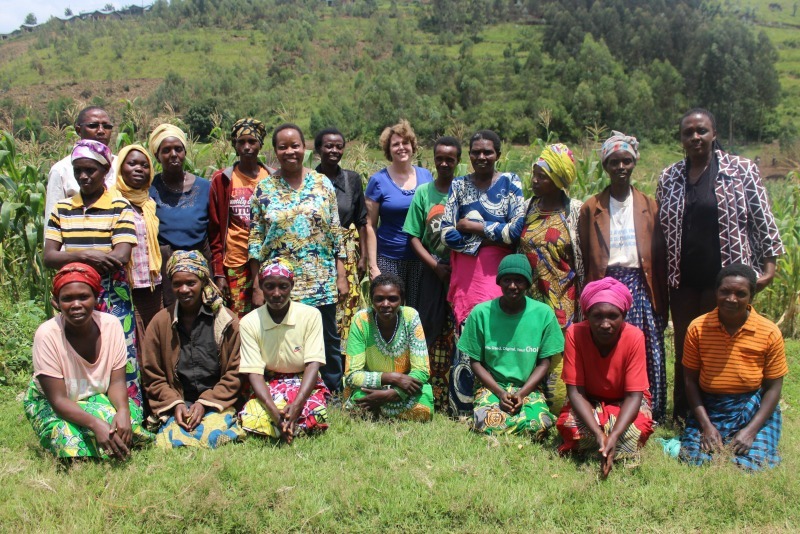 I have found both inspiration and answers from the women I have met during my travels to Kosovo, Rwanda, and the Democratic Republic of the Congo since I came to Women for Women International. When women are given a safe space to come together, to heal, and to support each other, something magical happens. They regain their faith in themselves; they gain confidence in their own abilities. Women for Women International provides that space, bringing small groups of women together regularly throughout a year to learn new skills and knowledge to lead healthier lives, know their rights, earn money to support their families, and to connect. “I have made good friends at WfWI because we train in groups and none of us discriminate. We all accept each other,” shared Solange, a mother who survived repeated sexual violence and the loss of her husband and three children. During the training she learned farming skills and now earns enough to send her surviving children to school. I can’t think of a single woman who thrives in isolation. We all need circles of support to make us stronger. For over 20 years, women in our program have benefitted from the generosity of tens of thousands of sponsors around the world. Just knowing that someone so far away cares and believes in them makes them stronger. On this Mother’s Day, I hope you will join me in honoring all the mothers in your life with an inspired gift that will help Women for Women International support women who need to know they are not alone.